2019-2020 School year applications now being accepted! ​Hurry! Deadline to apply is April 30, 2019! To fulfill our mission of empowering women worldwide, we must focus on gender equality in education, an essential human right, critical to development for all. For women and girls, education provides the tools and resources to empower them to make decisions about their lives and the future of their families. Educated women can break the cycle of poverty; they can choose when to marry and if and when to have children; they can access quality health care to safeguard themselves and their children; they can educate their own children and ensure greater opportunities for future generations. Each year, Zonta Club of Kaua'i awards scholarships in the amount of $1,000 as outlined below. Applications for the 2019-2020 school year are now being accepted! Click on the buttons below to download the application. Academic Scholarships in the amount of $1,000 or more each to young women graduates of high schools on Kaua'i seeking to further their education. Scholarships are also being awarded to women returning to the work force and are interested in continuing their education at Kaua'i Community College. The William and Marge Akana Scholarship for $1,000 for an applicant pursuing an education as a teacher in the elementary education area and hopefully venture to Kaua'i. 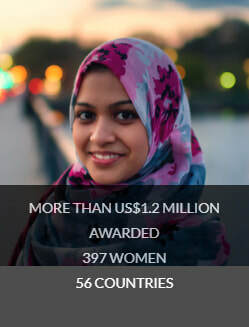 The goal of the Zonta International Young Women in Public Affairs (YWPA) Award Program is to encourage more young women to participate in public affairs by recognizing a commitment to the volunteer sector, evidence of volunteer leadership achievements and a dedication to empowering women worldwide through service and advocacy. Public affairs refer to all aspects of community life where decision have to be made about issues which relate to and affect those communities in which people work and live. District/region recipients receive $1,000 or more each. Ten international recipients are selected from the district regions to receive additional awards of $4,000 each. Women ages 16-19 on 1st April of each year are eligible. ​While significant progress has been made in achieving gender equality in primary and secondary school enrollment, significant gaps still remain at the university level. These gaps are even more significant in fields traditionally dominated by men. 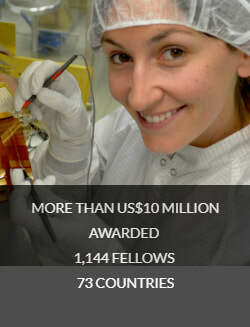 To address these gaps and promote gender equality in education, Zonta International supports three programs for women and girls pursuing education and careers in the traditionally male-dominated fields of aerospace sciences and engineering, business and business management and public affairs. These programs are made possible through donations made to the Zonta International Foundation. The Amelia Earhart Fellowship expands opportunities for women pursuing advanced studies in the typically male-dominated fields of aerospace-applied sciences and aerospace-applied engineering. The Jane M. Klausman Women in Business Scholarship supports women pursuing undergraduate and master’s degrees in business management.